UCLA’s Canadian Studies Program invites applications for the 2019 (Jan. – Dec.) Canadian academic visitors program. The Program seeks to help departments and other units at UCLA bring in Canadian academics, researchers and public figures to present lectures, seminars, workshops etc. and to meet and interact with UCLA faculty and students. The support amounts will be in the range of $200 to $500 to assist in offsetting the cost of the airfare or accommodation related to the visit – which would largely be borne by the host unit. The Canadian Studies Program will also provide advertising via the web and relevant Canadian Studies Program list-servers. A firm commitment to the visit and dates must be obtained by nominating faculty/department from the visitor prior to submission of an application. The visitors must be Canadian residents working in Canadian institutions. Applications should comprise of an emailed request for support with outline of the proposed visit and a very brief biosketch, CV, or resume of the proposed visitor. Applications can be submitted anytime during the period Fall 2018 through Summer 2019 Quarters for visits in the Winter 2019, Spring 2019 or Fall 2019 Quarters. Early applications are encouraged as funds are limited and will be committed on a rolling basis until expended. Acknowledgment of the support by the "UCLA Canadian Studies Program" in all announcements and PR material related to the visit, provision of an announcement to be posted by UCLA Canadian Studies on our website and a brief email report on the visit once concluded are requested. Completed applications should be sent to Sumita Mitra mitra@international.ucla.edu. 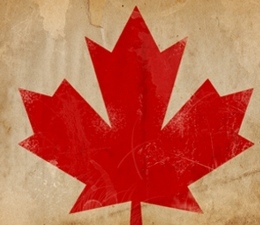 Please use the email subject line “Canadian Visitor Support” for application submission and all other correspondence.